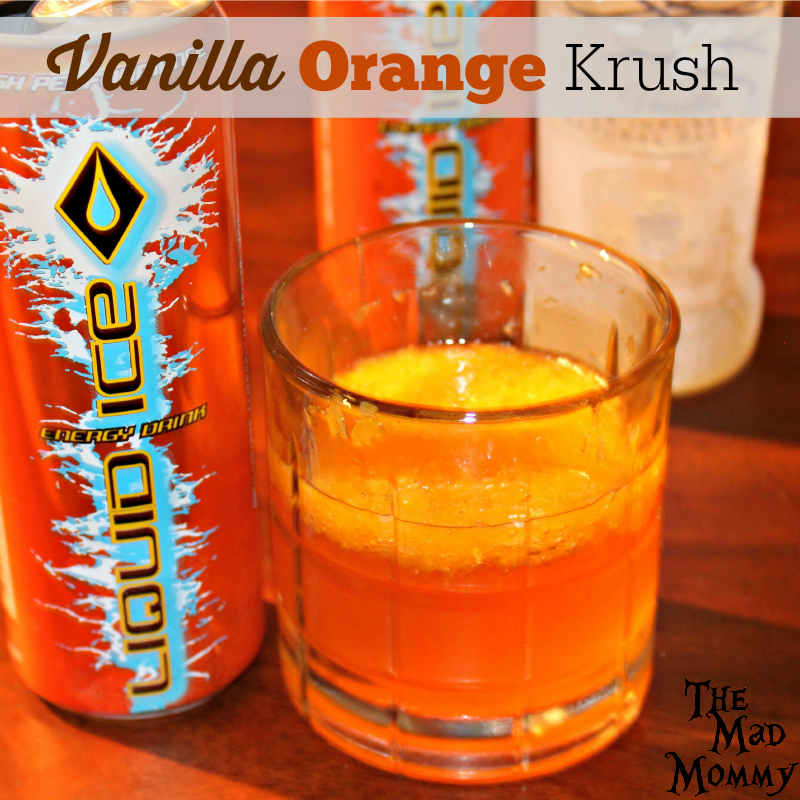 Say Goodbye To Summer With A Vanilla Orange Krush! [dropshadowbox align=”none” effect=”lifted-both” width=”600px” height=”” background_color=”#ffffff” border_width=”1″ border_color=”#dddddd” ]This post may contain affiliate links. Affiliate links pay a percentage of what is purchased to me and this supports/funds this blog. [/dropshadowbox]For many, summer is already fading away. For others, Labor Day weekend is summer’s grand finale! This summer was way too fast and furious, but it was also a lot of fun! 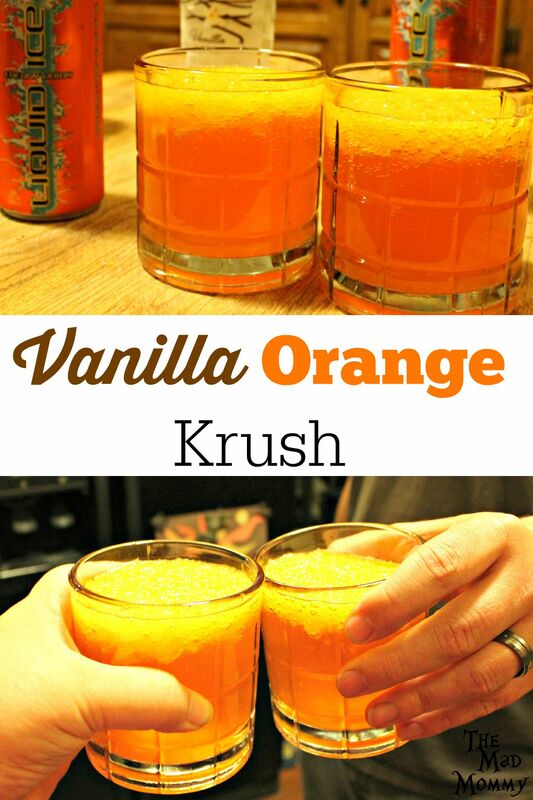 As we celebrate Labor Day, send our kids off to school and welcome fall, my husband and I are saying goodbye to summer with a Vanilla Orange Krush! You all know, that after coffee, energy drinks are a necessity for this mama, especially in the summer. 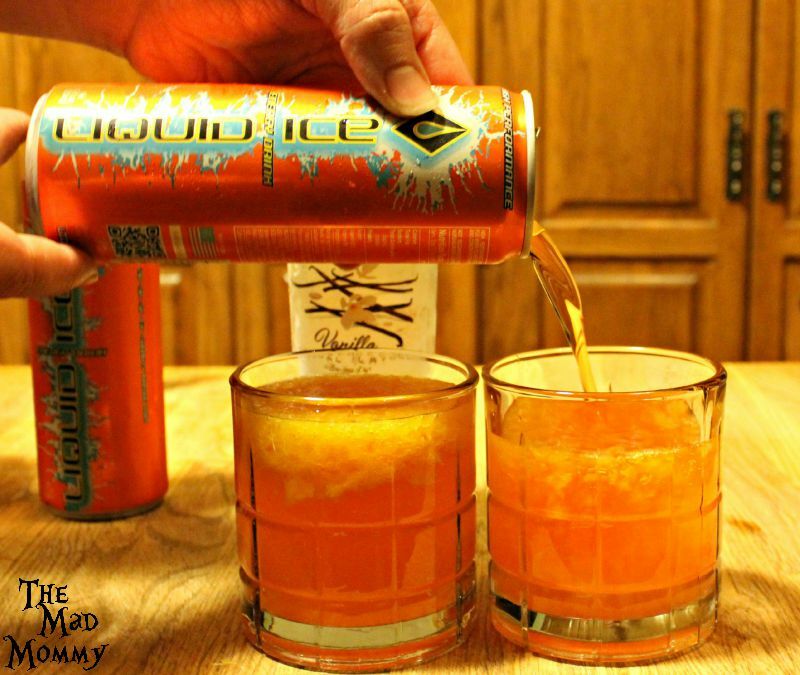 You may also know that I am a fan of Liquid Ice Energy Drinks because I love their flavors! Blue is awesome and makes a mean Ice Queen. Red has a super delicious cherry flavor and makes a killer Red Rum. Needless to say, I was over the moon when they asked me if they could send me the new orange flavor to try! I have to say, I really enjoyed the crisp orange flavor. It really has some nostalgia to it. 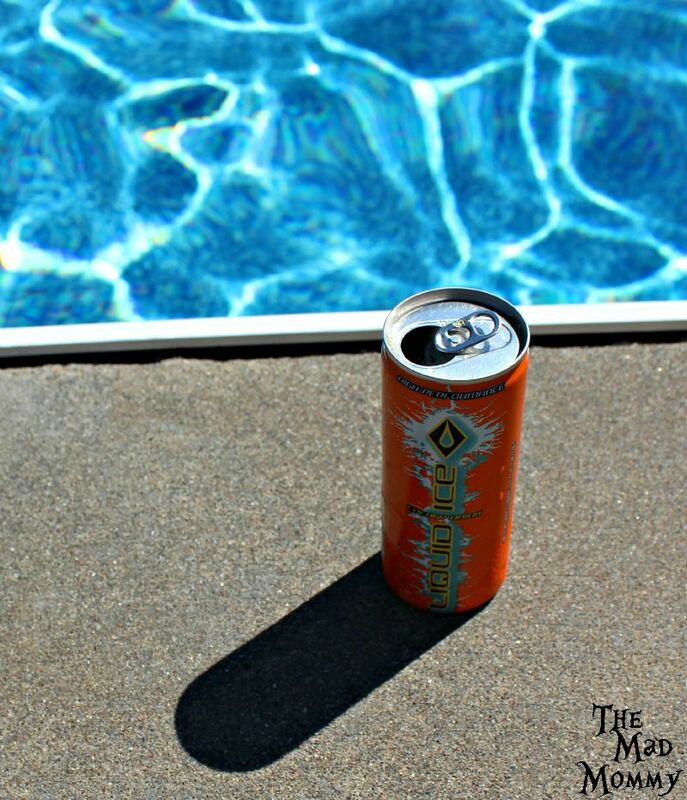 Especially sipping it on a hot day, by the pool. It reminded me of when I was younger and someone would give us orange pop as a treat! I spent the last couple weeks of summer trying to get the most out of it with my kids and now, it is Labor Day weekend. As of Monday night, summer will be over for us. 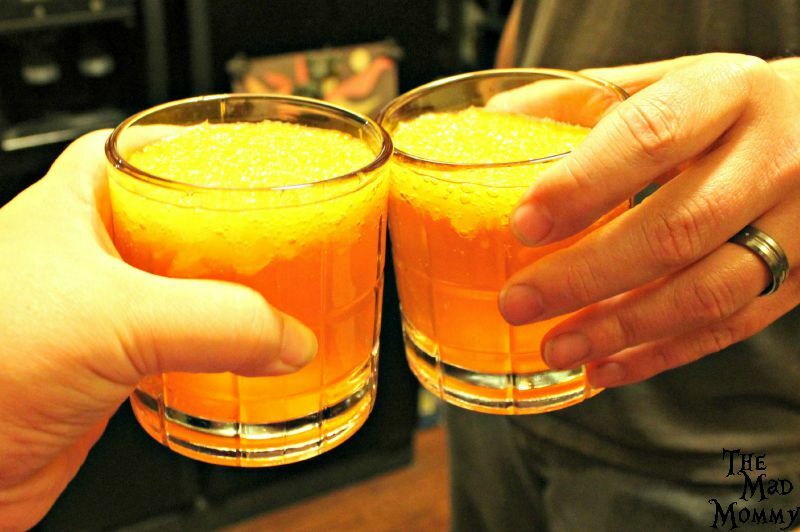 My husband and I decided to celebrate the long weekend, welcome fall and say goodbye to summer with a cocktail, so I came up with the Vanilla Orange Krush. 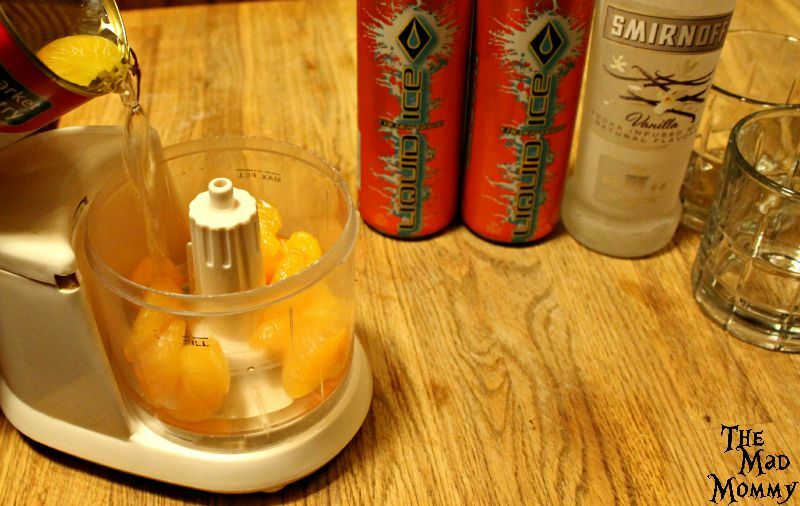 I also used a small food processor/blender to “crush” my oranges. 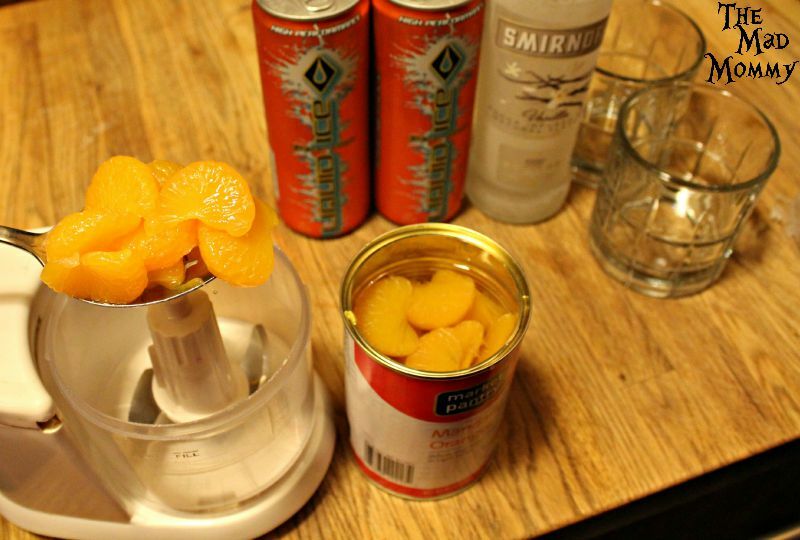 Add about 1/2 cup of mandarin oranges into your processor or blender. 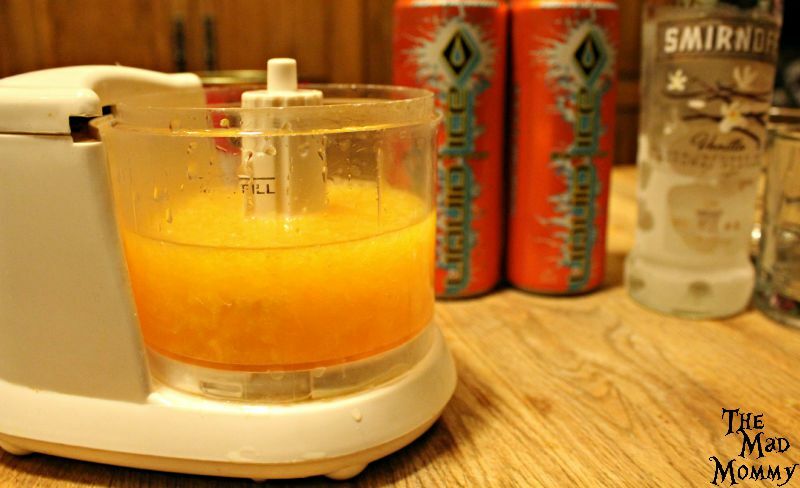 Add about 1/4 cup of the mandarin orange juice into your processor or blender. 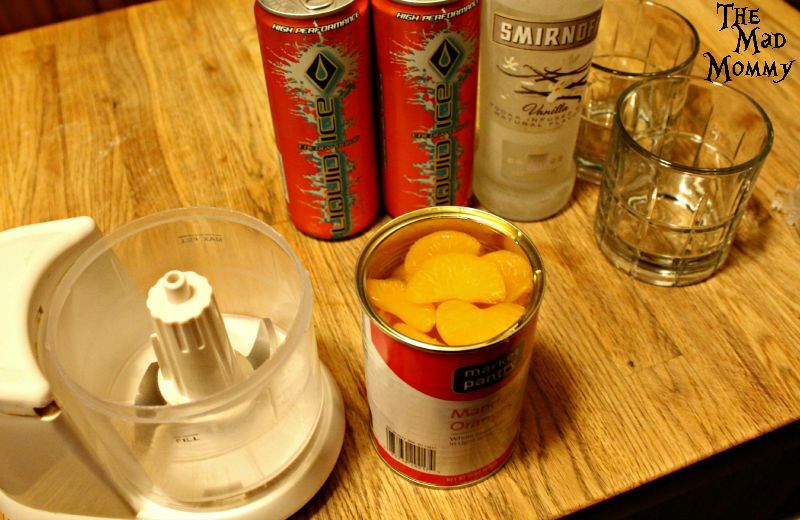 Add 2 shots or about 1/4 cup of chilled vanilla vodka into your processor or blender. 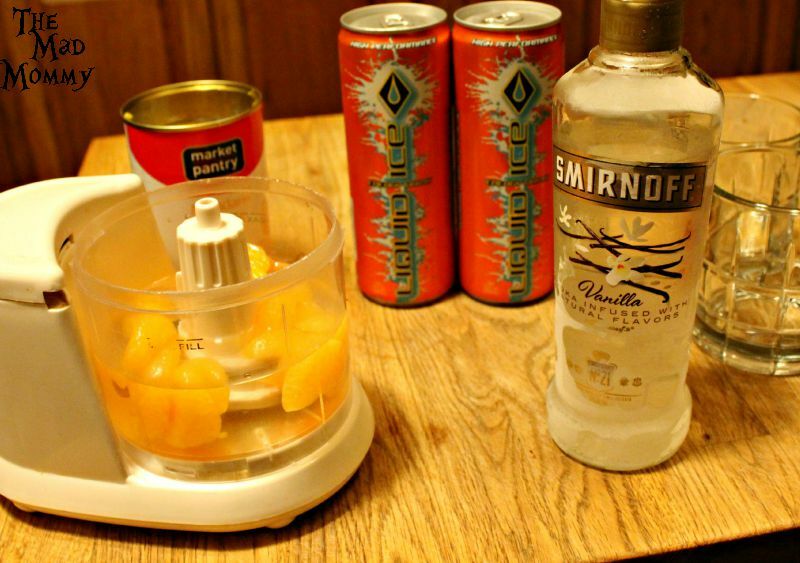 Once all of the ingredients are in, pulse a few times. DO NOT liquefy! Only pulse it a few times. You want the oranges broken up, but you want to retain some of that texture! Now, pour it into two glasses, equally. 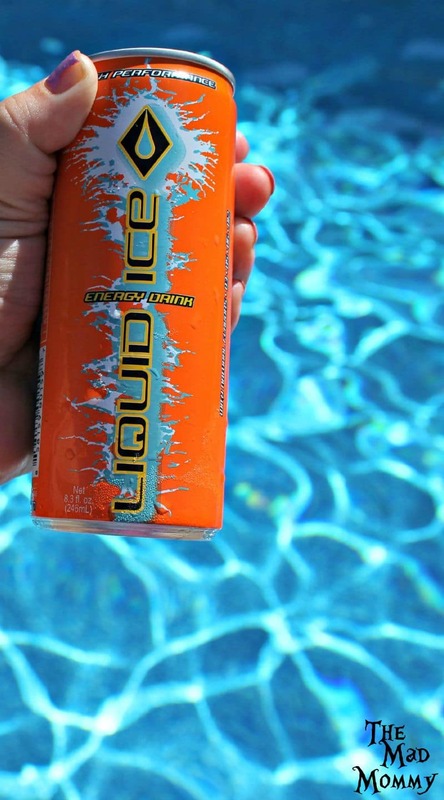 You are now ready to top it off with your cold Liquid Ice Orange Energy Drink. Pour until you reach the rim! That is all there is to it! You have two delicious and refreshing cocktails ready to be enjoyed. Easy to make, delicious to drink and great to share with a spouse, a friend or hell, even great to have another for yourself! Cheers to the celebration of Labor Day, the welcoming of fall and the departure of summer! 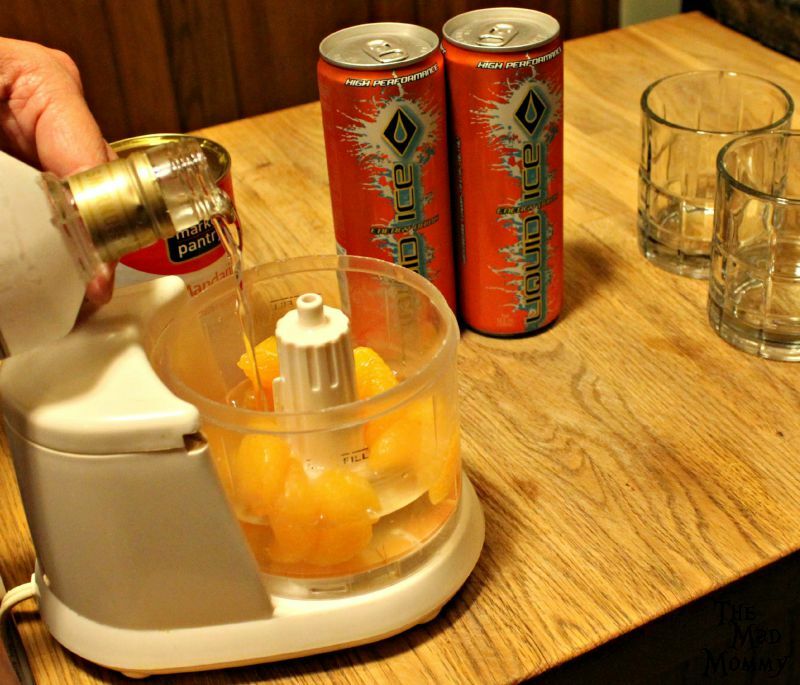 You could easily enjoy this drink as a mocktail (alcohol free) by omitting the vodka and chilling the mandarin oranges and their juice prior to making the recipe! 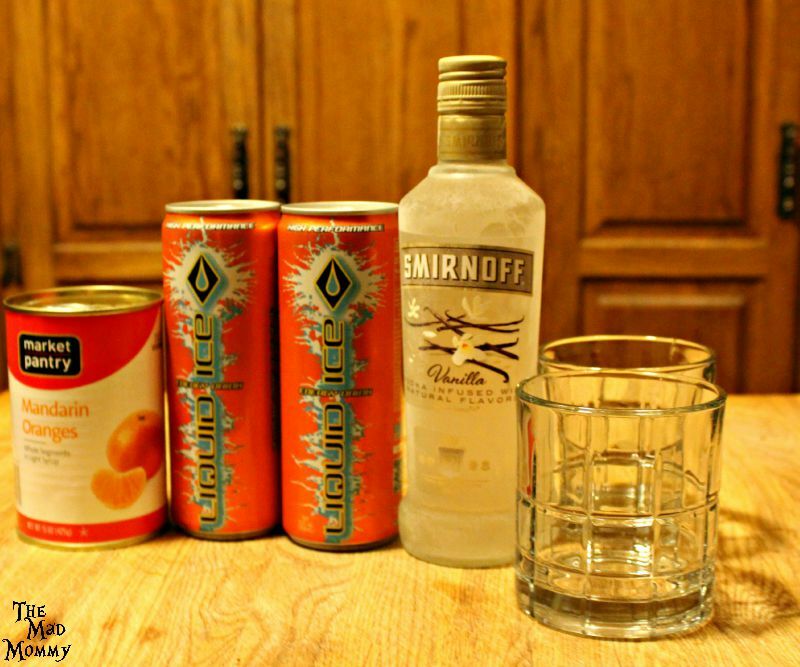 Enjoy this refreshing, yet energizing vanilla vodka cocktail make with Liquid Ice Orange Energy Drink. 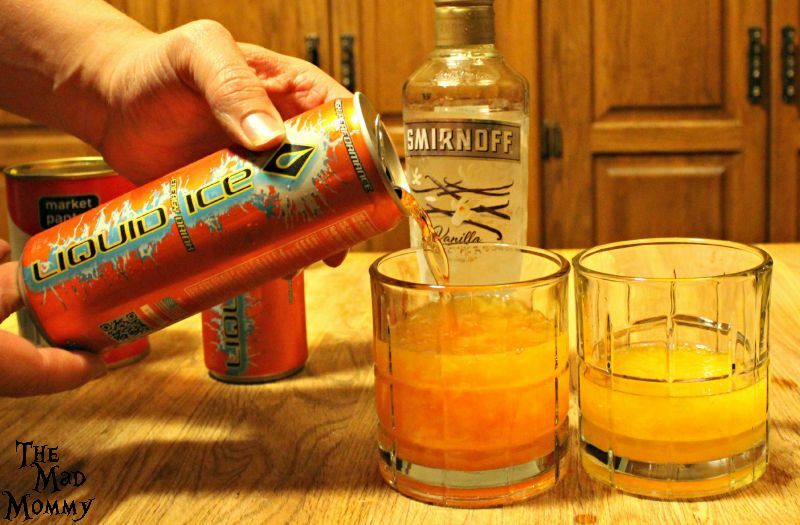 Say goodbye to summer with a Vanilla Orange Krush #cocktail featuring @Drink_LiquidIce Orange! How will you say goodbye to summer? *Disclaimer: I received product and/or compensation in order to facilitate this review. However, all opinions remain 100% my own. Yum! This sounds so refreshing! Plus I love anything vanilla and orange, creamsicles or anything creamsicle flavored is a big hit with me. 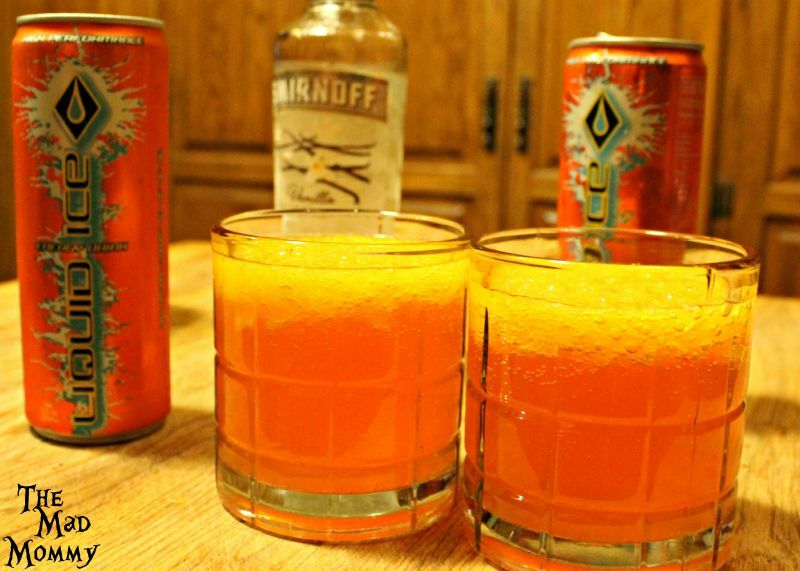 I might have to try this with orange soda though because I can’t do energy drinks or caffeine in general. 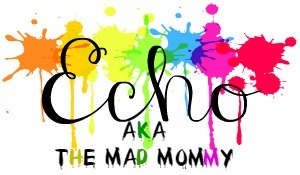 I stopped caffeine during my first pregnancy and never went back, turns out it was giving me crazy anxiety! Strangely enough, I am still addicted to coffee though, I just get it decaf. I love creamsicles too! 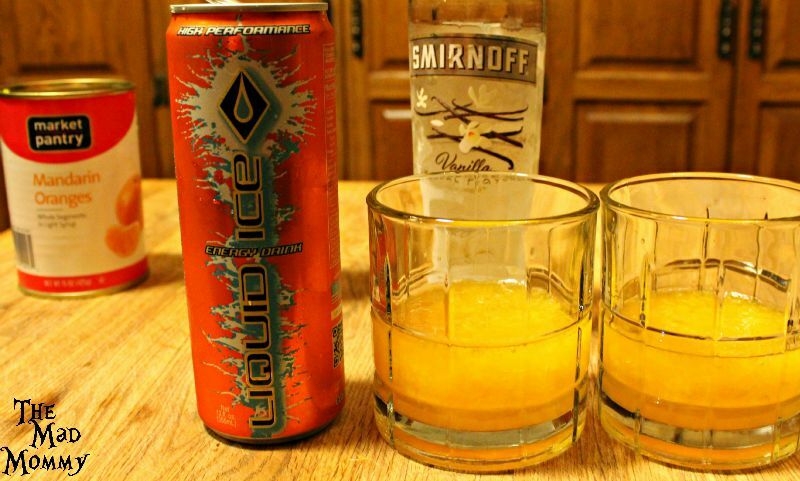 This tasted very much like that and yes, it is just as good with orange pop!!!! YAY! Have fun and happy Labor Day weekend, my friend! You’ll love it, Lisa! It is delicious! I had no idea there was such a thing as vanilla vodka. I definitely need to make these – and serve them to my friends in celebration. LOVE IT! THANK YOU! Oh yes! Vanilla Vodka is one of my favorites!!!! I say goodbye to summer with ice cream, actually! Just got it from a new favorite place. This drink looks awesome. I have been on a real mandarin orange kick for a loooong time. Vanilla vodka? It’s like the most amazing drink ever, I’m sure. It is so delicious, Tamara! Oh man, doesn’t everyone say goodbye with ice cream? They should!